I find that I prefer this black tea steeped at a lower temperature than most black teas. Using cooler water helps to show off the creaminess in the leaf and eliminates any chance of bitterness. 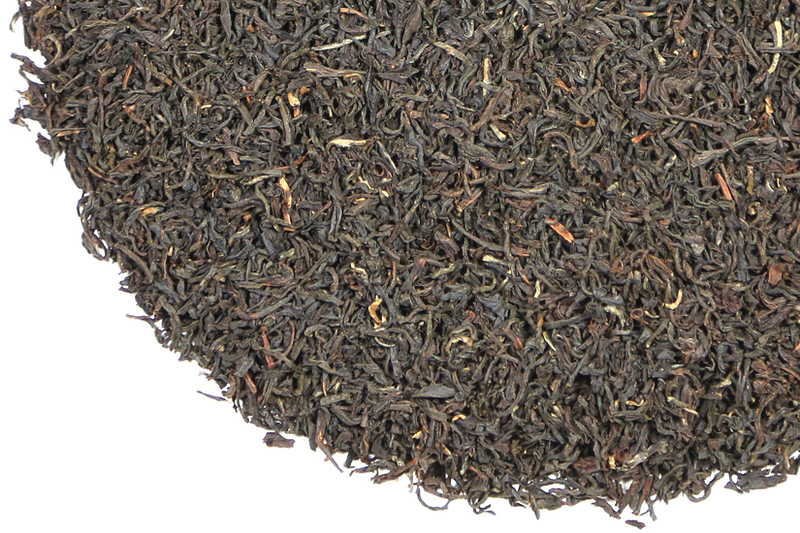 This uniquely delicious Assam black tea is orthodox in manufacture but has the boldness of flavor usually found only in a CTC manufacture. Golden Mahseer is for our Assam enthusiasts who prefer that their cup of tea has a strident, deep flavor, but who also want finesse and clarity. Malty and deeply-flavored in the classic Assam style, we find this Upper Assam tea to be full of complex flavor. Golden Mahseer Assam tea is truly delightful and we are happy to have it return to our line-up for 2018. It has just a touch of the cacao and nut flavor of several famous eastern China black teas, but it is much darker and ‘bigger’ in over-all style and flavor. There is a distinct grape/raisin component to the slightly astringent flavor profile. The aroma is soft but full, and has elements of grape skins and a light tobacco ‘smokiness’. 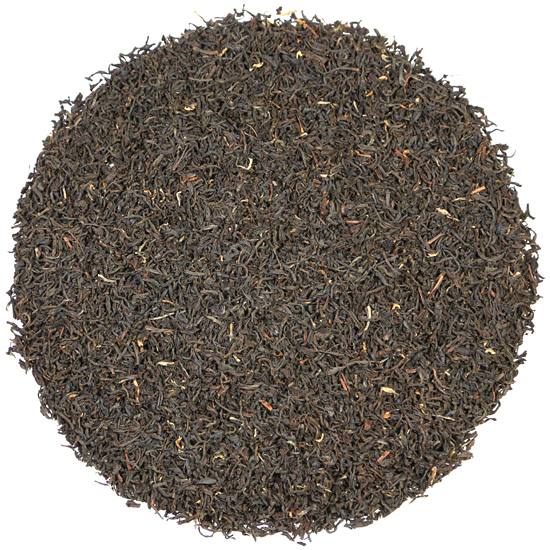 Golden Mahseer black tea has plenty of flavor for those who add either milk or sweetener to their tea. This tea is ‘dry’ – never cloying or thick. It is satisfying and has flavor to spare. Its aftertaste is lingering – this is a tea to savor for half an hour or more on the palate after the liquid has been consumed. We named this tea after a beautiful and famous fish that plies the waters of the Assam Valley. Reknown for its spectacular coloration and tenacious fighting ability as a sport fish, the Golden Mahseer is native to the headwaters of the Himalaya. Historically found in fresh water rivers from Afghanistan to south-east Asia, it is today quite rare, most often seen in northern India and Nepal. A migratory fish, it returns to its birthplace to spawn in cold, fast-running and therefore highly-oxygenated water about 20 years after coming to maturity living in the deep water of a large river or lake. In the water, it is a very strong fish and one of the largest carp in the world. The Golden Mahseer is known for being finicky and moody, and its name translates from the Assamese as ‘The Big Mouth’! We thought it the perfect namesake for this tea, not only because of the importance of water in their life cycles, but also the complexity of their lives.